This entry was posted in Photography, Thursday Picture of the Week, Travel and tagged jeffrey aaronson, machu picchu, peru, photographers, photography, photos, smithsonian magazine by Becky Green Aaronson. Bookmark the permalink. Machu Picchu is on my bucket list to hike! I would love to do the whole 7 day hike to Machu Picchu and then up to the ruins. These pictures just make it all the more inspiring to make the plan and do it!!! Fabulous images as always. I am in awe of Jeffrey and you for the magical way you have found to share it all with us, thank you. Leigh, I’m so glad you were inspired! Sounds like you need to make it next on your bucket list. As always, thanks for your nice comments, and for taking the time to let me know you’re out there enjoying the blog. Oh Becky, that is stunning. Lucky and hardworking Jeffrey really did it! That is a famous shot but NOT with the llama or alpaca in the foreground. Fabulous! Ann, so glad you enjoyed this image. When it was first published we received many a lot of calls from people wanting to buy prints. Several had been to that exact spot in Machu Picchu, and had snapped a bucket load of pictures, but couldn’t ever create one like this. It’s fun to share all these photographs with you! Becky to be honest, Forget seeing I did not even heard about this place before. But After seeing this photograph, i would love to go there. Its name is also sounding unique. Your posts always give me a feeling that, “is this really the same world we are living?”. Thanks for making us feel that, yes the world is not big enough! Arindam, your comments always make me smile. Thanks for being such a loyal follower. I’m glad you are enjoying learning about new places. I’m sure there are many in your part of the world just as exquisite, and ones we should all know about too. Just like some of the people you have written about. Becky, every time I click on your blog I am transported to a world I’ve never known, and I find it infinitely fascinating. Yes. 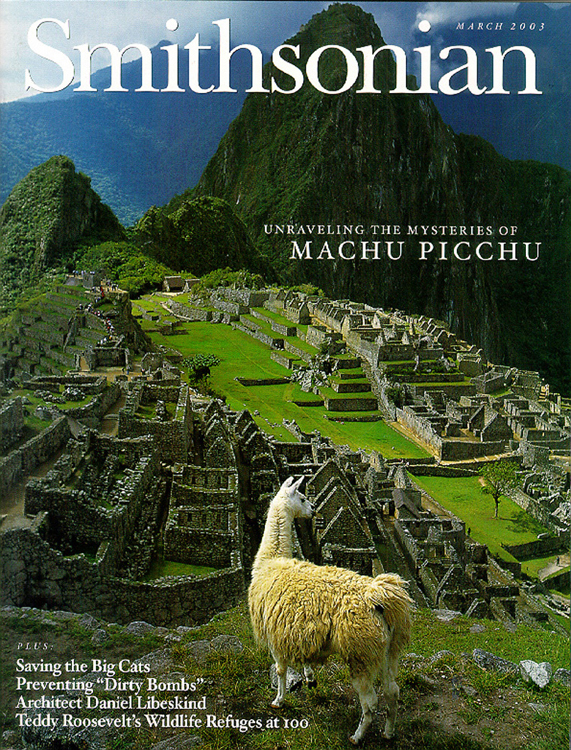 After reading your story, I would love to go to Machu Picchu. That picture is absolutely amazing. As is the narration you shared from the author’s quote. Breathtaking, both. You and your husband are a fountain of talent. I am so glad you’ve started a blog, and I feel honored to read your stories. Thank you, Melissa. Blogs give us a place to share our passions, and to connect with others who can appreciate them. It’s gratifying to know that you feel transported with each new post. So glad to have you along on this adventure! Big Big Big OMG . . . . Back in the days when I worked for a travel trade publication, there was one place I discovered that I wanted to go to more than any other. Yes, Machu Picchu. Did I get there? You better believe I did. Truly one of the most magnificent, mysterious places I’ve ever been. Don’t ask me to recall the year . . . suffice it to say it was back when the only way you could spend the night was if you got a room in the very small inn at the the site (yes, I was one of the lucky ones). 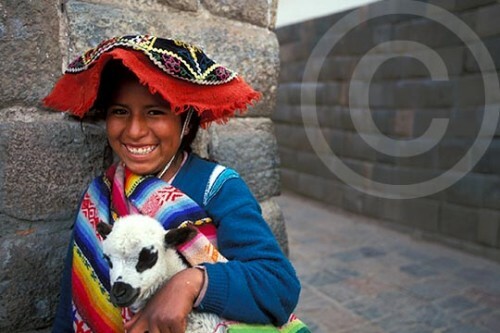 Most tourists had to satisfy themselves with the day trip from Cuzco. It seems that you and I (and Jeffrey) have even more in common than we thought. Deborah, I loved hearing your story. Sounds like an extraordinary time in your life. So happy you have a photograph in your office to remind you of it. We were there on the Solstice 2009 (December) and had rain, misty clouds, fog, then parting clouds. Around mid-morning I was standing further to the left of where Jeffrey stood and a llama (different one) walked by while grazing. When it heard the shutter, it raised its head and stared at me while chewing. I was accused by friends of hiring the llama to pose. It was a nice photo, but without the sun to bring color and depth to the scene, it lacks the pop of Jeffrey’s fine photo. Love your story! Perhaps it was a llama cousin! Hey, thanks for mentioning me in your Versatile Blogger Award! I liked all the 7 things about you too. Great stuff. Stunning photo, lovely landscape. I would do anything (legal that is ) to see Machu Picchu! It looks so peaceful, so undisturbed by modernity. Thanks for your nice comment. I will pass your kind words on to Jeffrey. I hope you get to Machu Picchu some day soon! Commenting on Jeffrey’s credo–I think it is less luck and more that he is completely ‘in line’ with what he is supposed to be doing in this world. At what age did he know he wanted to be a photographer? From a very young age, Jeffrey was extremely visual, but he didn’t discover his love of the still image until after he graduated from college. First and foremost – he has captured a brilliant shot! Well done and congrats on the reward for all the hard work! I have been to Machu Picchu – was filled with memorable moments! I certainly wish I had worked harder to capture some of them! For me, the quintessential moment was the morning I arrived. After hiking for 3 full days, we got up in the dark, headlamps lighting the way, to get to the site for sunrise. After many beautiful days in Peru, we (the group I was with) unfortunately woke up to a less than perfect morning. There wasn’t the perfect sun rise as we entered the site. I had hoped for that gorgeous sunrise moment – but instead entered in a misty morning. The mystique of the site was enhanced by the conditions. While I didn’t get the sunrise picture I was looking for, and couldn’t capture the mystique of the misty morning, I will always remember when Machu Picchu first came into sight. Thanks, Anita. I will pass your kinds words on to Jeffrey. I love your story. Mist-shrouded Machu Picchu sounds magical, even if it wasn’t what you were hoping for. Sometimes our memories are just as powerful, if not more powerful, than capturing a moment on film (or memory card). Thanks for stopping by my blog and sharing your story!